This week we have picked up the award for “Best Application of Motorised Window Treatments” at the Lutron Excellence Awards 2017. 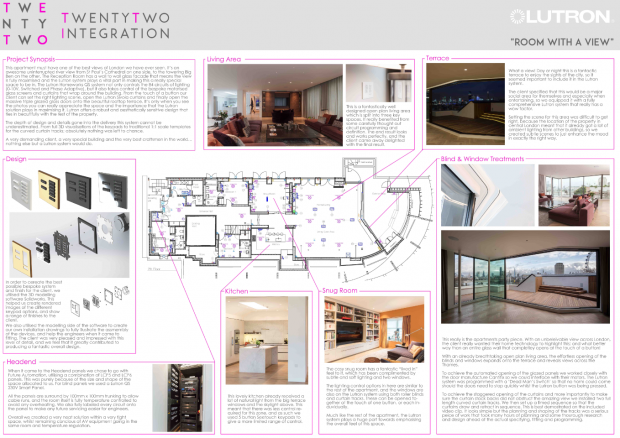 Established in 2003, the awards competition recognises the worlds best projects that include the use of Lutron light, shade and temperature controls, third party equipment and much more. It’s a fantastic chance for companies all over the world to showcase their very best installations. This is the second time we have won an award at the event which is something we are very proud of, considering the amount of entries they receive each year. The winning project was our Riverside Residence in Central London. 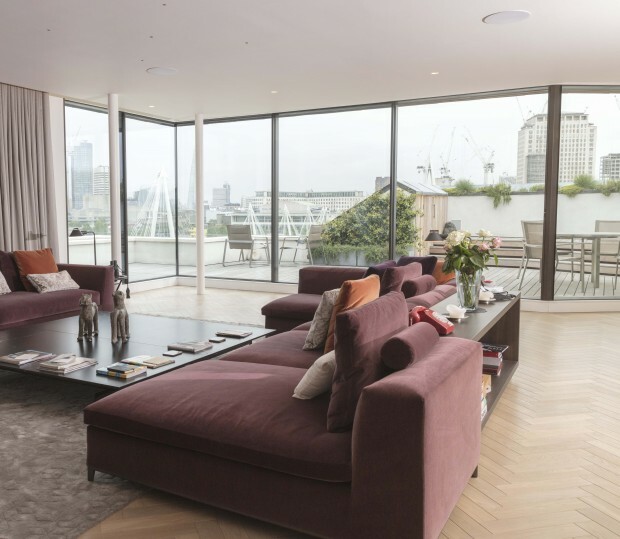 Blessed with a spectacular view of the Southbank, the client wanted something which could bring together the open plan living area and the outside terrace. To achieve this we installed fully automated blinds and doors on the Lutron Homeworks QS system, which all open at the touch of a button. Achieving the staggered opening of the glazed panels and the curtains required a considerable amount of design time, and a very complicated installation. Thankfully our team were fantastic as always and we finished the project to our usual high standard. This award couldn’t have been achieved without the hard work and skill from our entire team, so a huge congratulations to everyone!